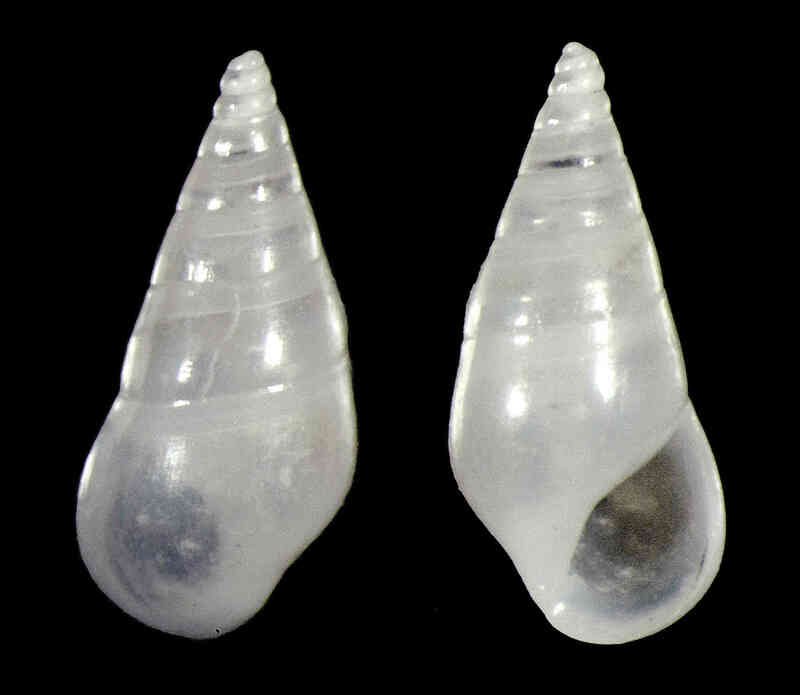 Shell size to 4.5 mm; shell elongate-conical, translucent. Surface smooth, glossy. Whorl sides straight. Aperture oval. Outer lip thick anteriorly. Color shiny-white or pale-amber.